Following Anglian Home Improvements announcement of the Window Scrappage Scheme a television campaign was launched showing the variable levels of heat lost from un-efficient windows. The advert helps illustrate the amount of money people are losing through the poor efficiency of their homes and how this can be dramatically improved if replaced with energy efficient windows. All technical information from the day is available as a “White Paper”. 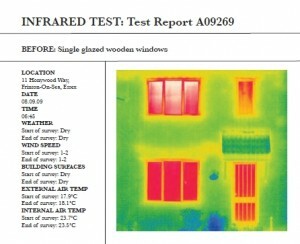 This document details the science behind the thermo-efficiency test. Please click White paper for a PDF copy. Anglian Home Improvements is formerly known as Anglian Windows. Raising the standard since 1966.